The black mamba (Dendroaspis polylepis; also called the black-mouthed mamba, southern brown mamba, or swart mamba) is a venomous elapid snake. 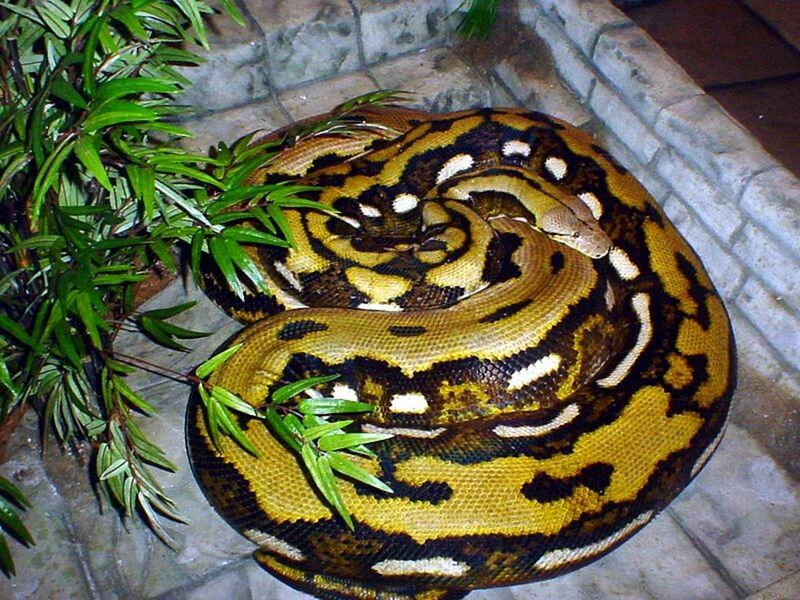 It is the largest venomous snake in Africa and the second largest venomous snake in the world. 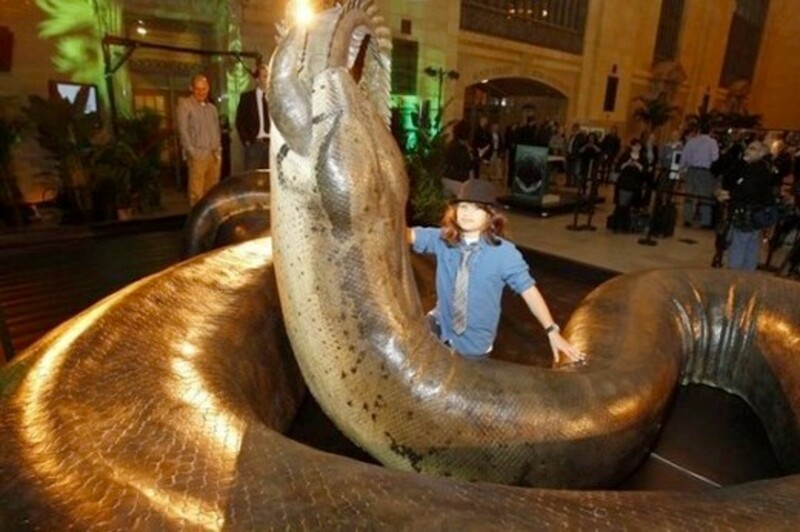 Only the King Cobra is larger. 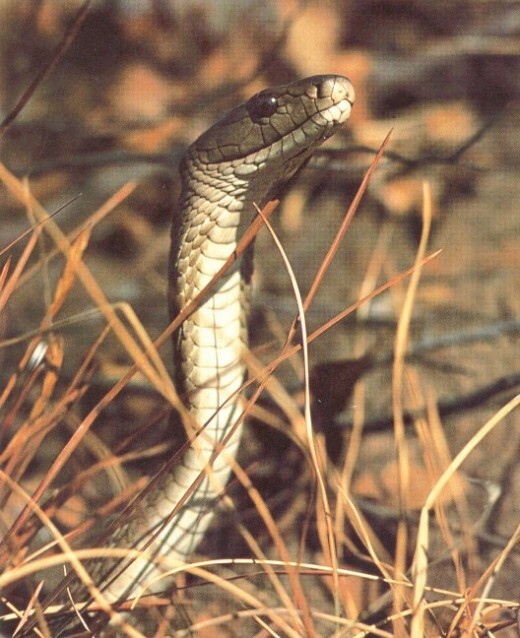 Adult black mambas have an average length of 2.5 meters and a maximum length of 4.5 meters. 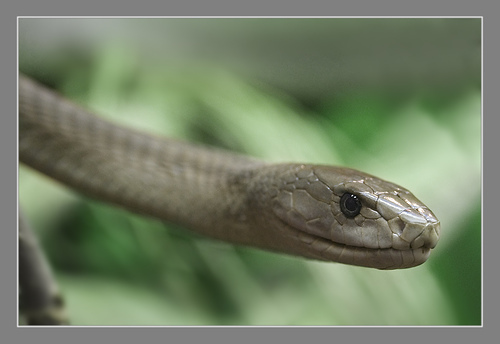 The black mamba receives its name from the black coloration inside of its mouth, rather than their skin color which is a gray to olive tone. 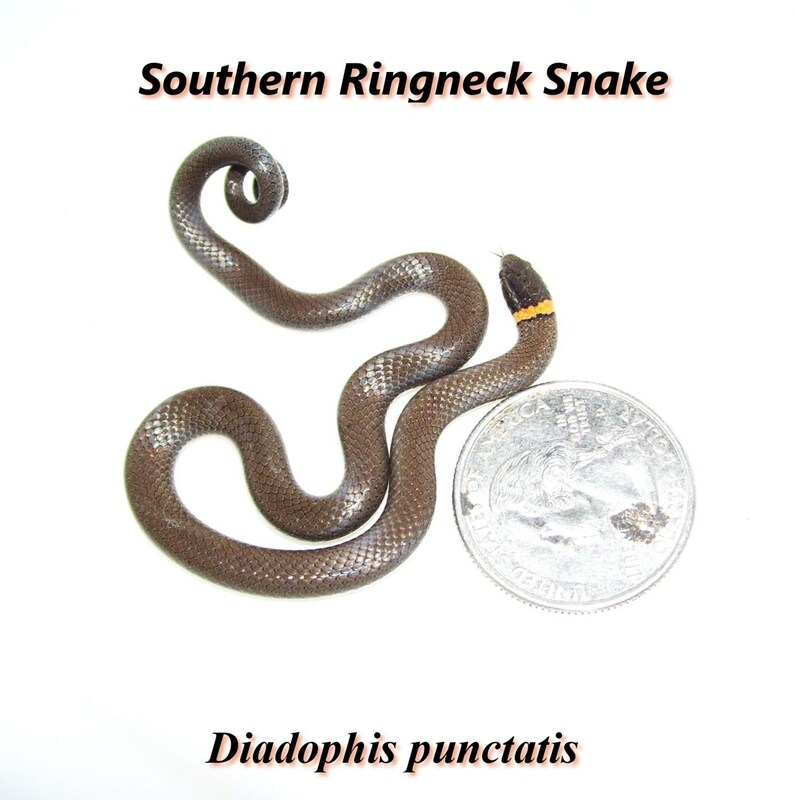 The venom is injected through two hollow fangs at the front of its mouth which lie flat until the snake bites something, at which point small, movable mouth bones erect them. The venom causes rapid paralysis. Enzymes in the snakes saliva start to digest the prey before it even reaches the stomach, and most prey is digested within a few hours. This takes place in spring and early summer. Males may travel long distances looking for females. 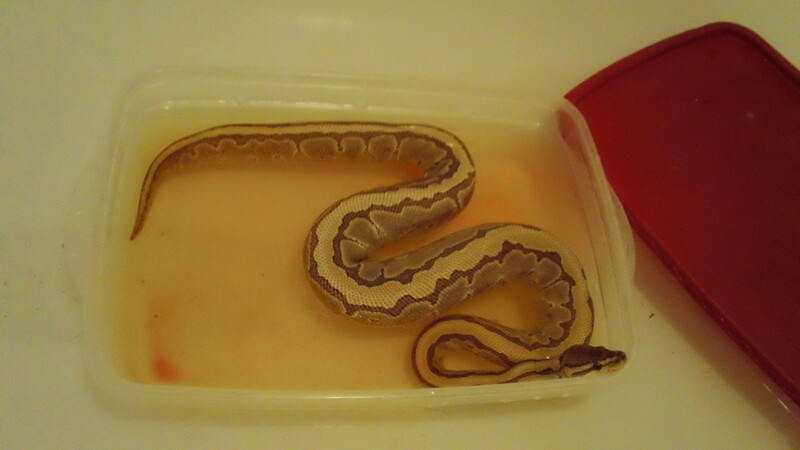 After mating, the snakes return to their own holes. 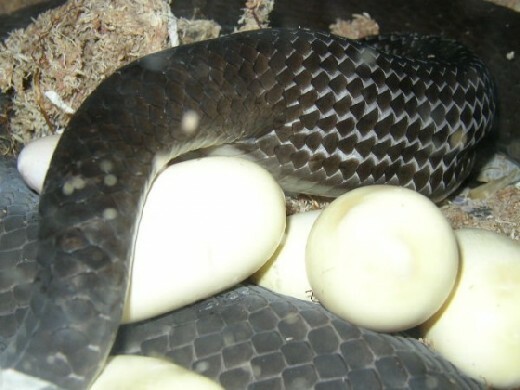 Females lay between 10 and 25 eggs, usually in decaying vegetation. The decomposition of the vegetation gives off heat, which helps to warm the eggs and speed up hatching time. The shells of the eggs allow water and oxygen to reach the developing embryos. The green mamba or common mamba (Dendroaspis angusticeps) is a venomous arboreal snake indigenous to the east coast of southern Africa. Eastern green mambas are the smallest members of the mamba family, averaging 1.8 meters, with known specimens to 3.7 m. The species is found from the coastal forest of the Eastern Cape in South Africa through Mozambique into Zimbabwe and the Malawian coast. 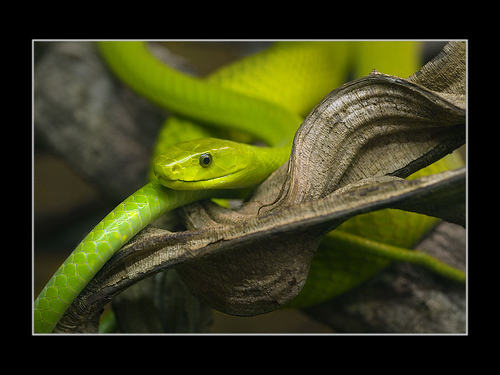 The green mamba is highly arboreal and seldom ventures to the ground unless following prey or basking. Green mambas are diurnal. 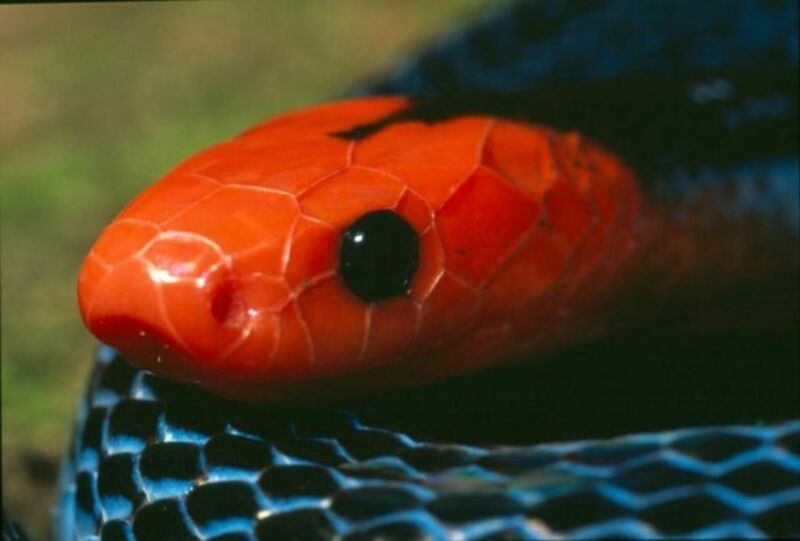 Unlike the black mamba, it is a shy and nonaggressive snake, and does not often gape and strike if threatened but usually makes a swift and elegant escape. 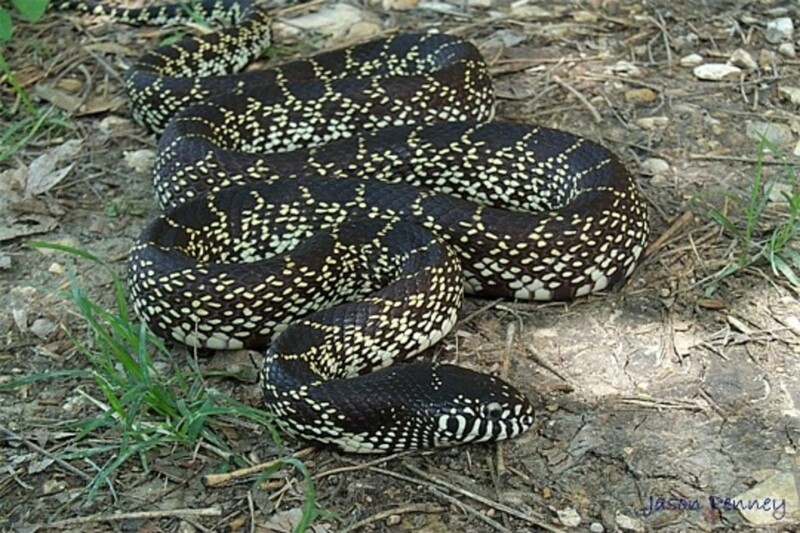 Continued provocation will cause the snake to strike, and bites, although serious, are uncommon. The venom thoug is extremly strong and could kill a man in a few hours if not treated. It is highly neurotoxic but this mamba does inject only a smaller amount compared to the black mamba. 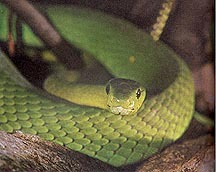 Green mambas make their homes near trees, often in evergreen forest, coastal scrub, or moist savannah. Bamboo thickets and mango plantations are also known to be mamba habitat. The green mamba is oviparous, laying 6-17 eggs in summer. The eggs are usually laid in a hollow tree among decaying vegetation. Hatchlings measure between 35 and 45 cm (13 to 18 inches) and are venomous from birth. 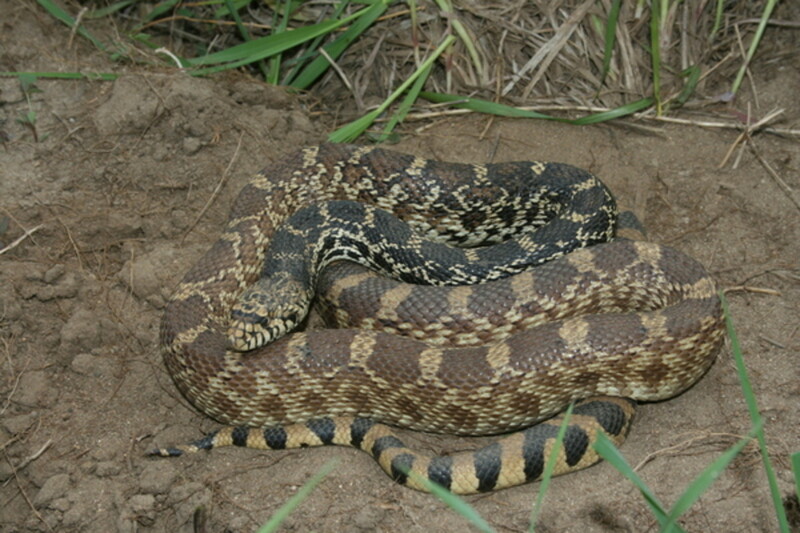 Males of this species are known to engage in combat for mating rights, similar to the combat practiced by male king cobras. The combat involves wrestling matches, with snakes twisting and pushing each other to the ground, which may last several hours. Combat does usually not include biting. Its a really nice website about the black mamba that you've made.